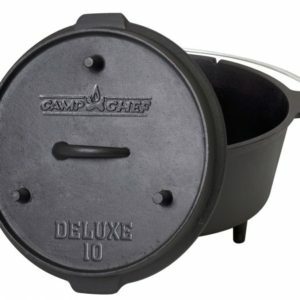 Camp Chef 13 Inch 8 QT Square Dutch Oven -From the kitchen to the campsite the Square Dutch Oven is perfect for roasts, casseroles, ribs, breads, and much more. 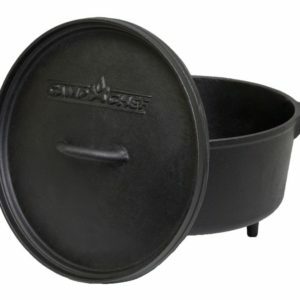 From the kitchen to the campsite the Square Dutch Oven is perfect for roasts, casseroles, ribs, breads, and much more. 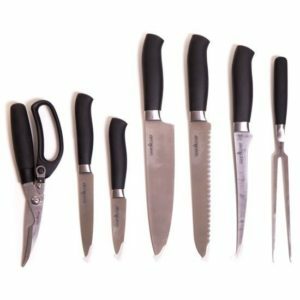 The eight quart capacity is large enough for all your cooking needs. 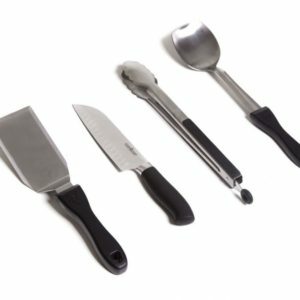 The legless design makes it perfect for use in your home kitchen. 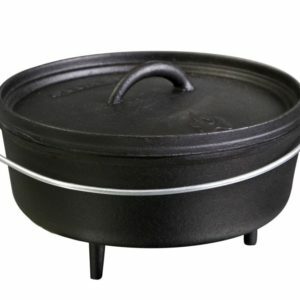 This cast iron piece gives cooking superiority by evenly distributing heat to cook your food to perfection. 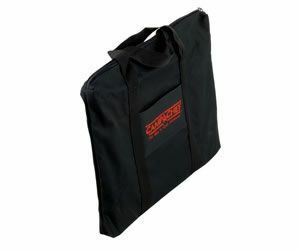 Checking temperatures is easy with the thermometer notch allowing you to insert a probe without lifting the lid. 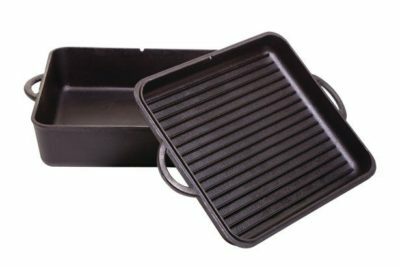 To expand versatility the lid has been designed with raised ribs so it can double as a grill on your stove. 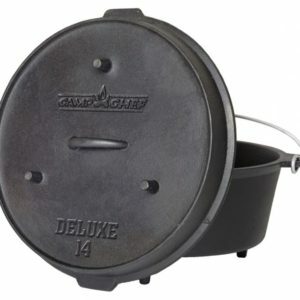 Camp Chef 13 Inch 8 QT Square Dutch Oven -The square dutch oven eight quart capacity is large enough for all your cooking needs.